To celebrate the 5th anniversary of the opening of Concord Library on Flavelle Street, the library is featuring an exhibition of the pictorial history of Concord Library. The exhibition traces the history of the current site which was formerly Concord Council Chambers and still earlier the site of Wellbank house, home of the Flavelle family. It also takes a nostalgic look at the earlier libraries on Concord Road and Bent Street, Concord. The John Mendel Memorial Library on Concord Road was opened in 1968 and named after a former Town Clerk of Concord who was a great supporter of a free library service for residents. The Concord Branch Library at Bent Street opened in 1975. 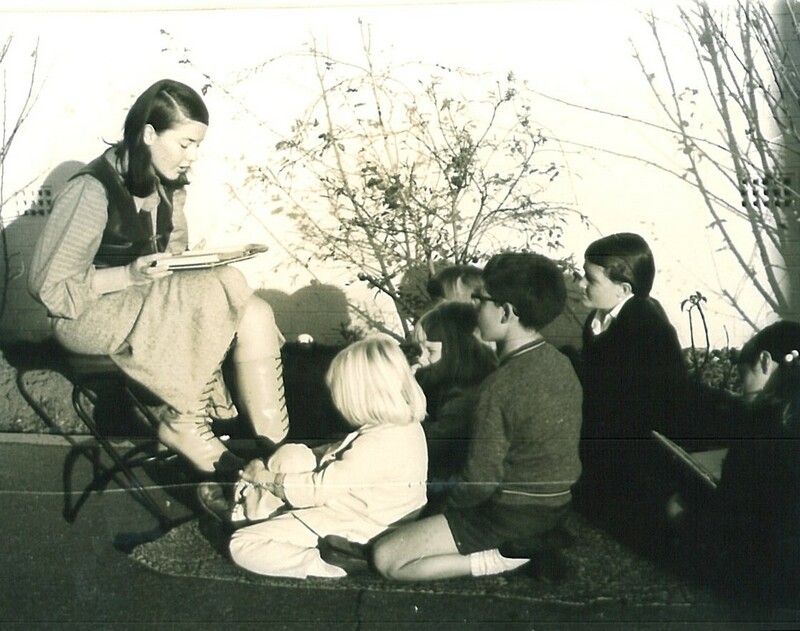 The photograph shows a storytelling session at Concord in 1970. Storytelling remains one of the library’s most popular activities. The exhibition is currently on display until 12 May 2013. In 1916, the Rev. John Boardman of St Alban’s at Five Dock wrote to parishioners, ‘This Easter has been different to any former ones, for we had scarcely finished the solemn services before we were commemorating Anzac Day, a day and a word that were unknown or unthought of last Easter and yet a name that will last as long as Australia continues’. It is now approaching the centenary of the landing at Gallipoli and the City of Canada Bay will be marking the occasion through several events in 2015. Local Studies welcomes the loan of photographs of local men and women who served in the First World War to copy and add to the ‘Canada Bay Connections’ image library. 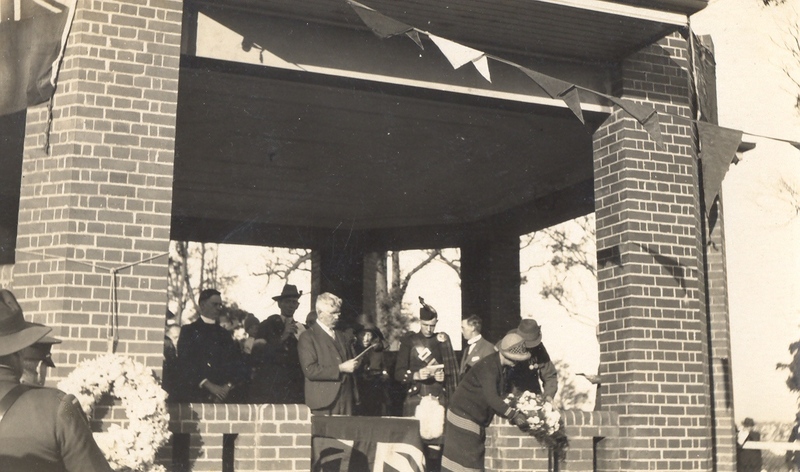 The photograph shows the opening of the Five Dock War Memorial Bandstand in Five Dock Park by Gallipoli veteran Major General Charles H. Brand CB CMG DSO on the 28 January 1923. At 23:41 hours on 10 April 1944, Lancaster ND586 of 460 Squadron RAAF took off from RAF Binbrook to bomb the railway junction and marshalling yards at Aulnoye, France. Nothing was heard from the aircraft after take-off and it did not return to base. It had been shot down over Vieux-Mesnil (Nord), killing all seven of the crew. The pilot, Flight Officer Arthur Harold Probert RAAF, a resident of Drummoyne, was at the age of 25 the oldest member of the crew. Bernard Feutry, a resident of Vieux-Mesnil, has extensively researched the loss of the Lancaster ND586 which he has made available through a website. He has also supported the building of a memorial to honour these ‘amis de France’ which will be unveiled at Vieux-Mesnil on 28 April 2013. Lancaster bombers played a significant role in the Allied campaign during World War II at an enormous personal cost with a fifty percent death rate amongst airmen. This remarkable wartime service is recounted in a recently released book, Lancaster men: the Aussie heroes of Bomber Command by Peter Rees. 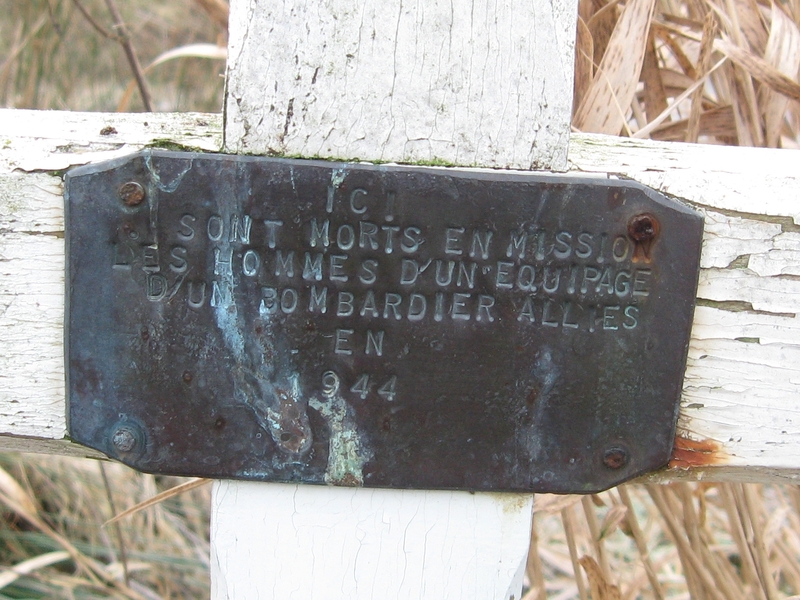 The photograph, courtesy of Bernard, shows the original marker where the Lancaster crashed. A very special display of photographs at Five Dock Library provides a wonderful glimpse into family life in Drummoyne in the early 1900s. The photographs were taken by Bessie May Selfe (1882-1969) using a glass plate camera. Glass plate images are extremely stable so the images are sharp and clear. Local Studies was able to obtain copies of the photographs through the generosity of Rosalind Strong, Bessie’s granddaughter, who loaned the 66 glass negatives to be digitised and added to Canada Bay Connections. 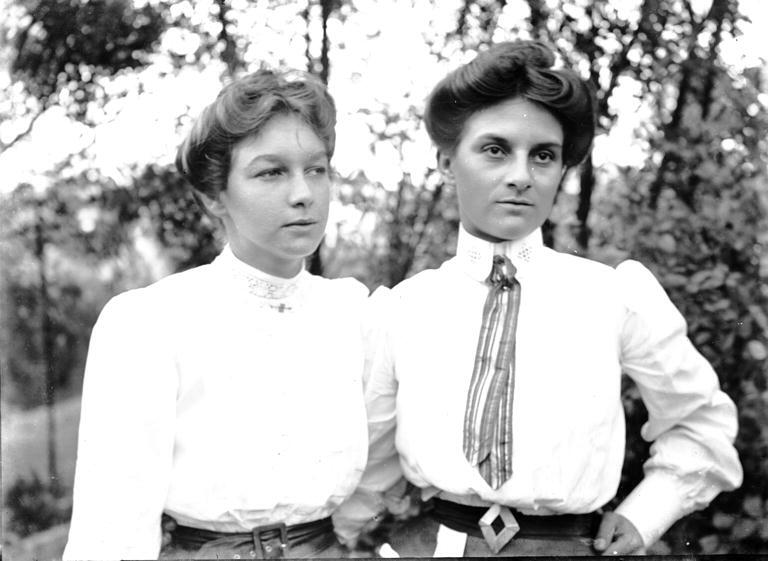 The photograph above shows Bessie Selfe, on the right, with her cousin Norma Selfe. The display coincides with the National Trust Heritage Festival and is on view at Five Dock Library until 28 April 2013. It’s then on display at Concord Library from 30 April until 10 May. A fascinating account of the Selfe family by Rosalind Strong has been posted below in comments. The 93rd Attack Squadron were known as the ‘Green Ghosts’. The Squadron flew Beaufighter Mk.21 aircraft which the Japanese nicknamed ‘whispering death’. So silent, they didn’t hear the Beaufighter till they were overhead. ‘By then it was too late’. 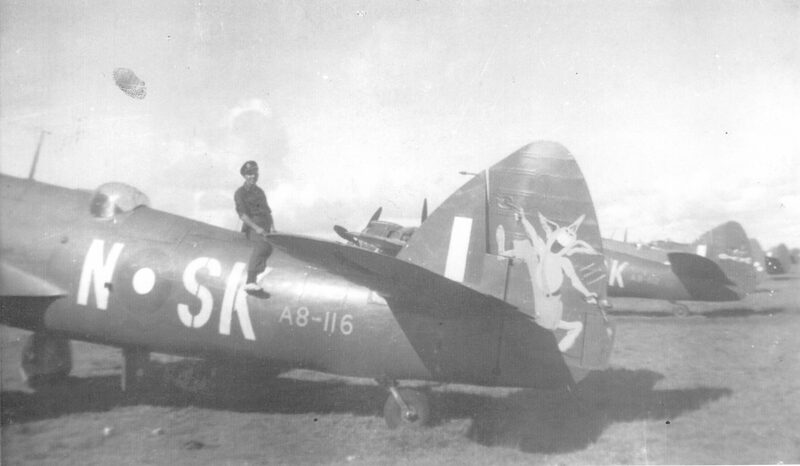 The photograph shows Lerryn Mutton astride his Beaufighter at Labuan, Borneo, cleaning his aircraft. Following World War II he served as Mayor of Concord and was MLA for Yaralla (Concord). He was an active member of the community, supporting a wide range of issues. Still, the years of war service were ones that remained close to his heart. A proud moment was representing Veterans at Sandakan Memorial in 1999 where he visited the grave of a fallen comrade. Lerryn Mutton’s story is told in the recently published book, Lest I forget. The publisher, Patricia Skehan will talk about the book at Concord Library on Thursday, 18 April 2013 at 1pm.